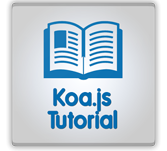 Koa.js is a flexible Node.js web application framework to develop web and mobile applications. It was designed, developed and maintained by creators of Express.js. It is popular open source node web framework.